Photos, videos, pics of Allison, McKayla, Jacqueline, Sam, and Lydia Lucas. 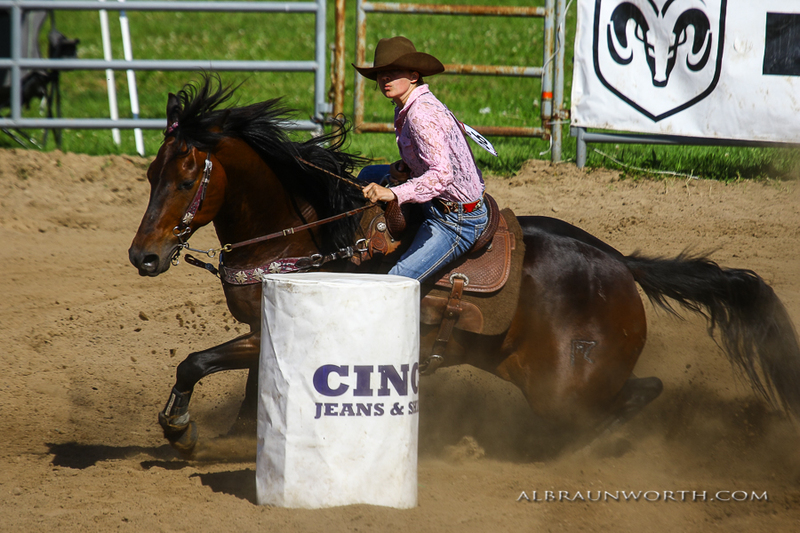 I have now been riding with Jane for at least 3 years, starting when I first attended one of her clinics back in 2012, which was the start of my love for barrel racing. I had never been competitive, and Jane has definitely helped me with that throughout the years! To this day I've been to 3 of her clinics, and I've been down to her ranch in OK 3 times as well. Jane helped me achieve my goals of being consistent and bringing my old mare Bella to her potential, which wasn't easy, but Jane made is possible. I had never dreamed that my little dun horse would be much of a barrel horse, but with Janes teaching she learned to have perfect patterns which made up for her in speed, which allowed us to start running 1d and 2d times! We won many averages due to our consistency as well, and Jane is to thank for all of it! Then eventually we decided it was time for a faster horse, and Jane and Cayla have helped me so much with her already as well, with the short time I've had her. They've taught me that hard work gets real results and to not give up. My new horse, JJ spent some time in OK with them when I first got her to work out some kinks, and it's been forward since then. With limited runs, she's already placing in the 1d and top of the 2d, which has been one of my goals for s long time. I can't thank Jane and Cayla enough for taking me under their wing when they can and all the advice! I look forward to learning more! I first met Jane, Ryan, Colton and Cayla in 2009 when I was 10 years old and bought my first step up horse from them. They were still living in their original location in Backus, MN which is only 45 minutes away from my home. I have attended as many of their clinics and taken as many lessons as I could from them since that time. I have purchased several horses and had horses in training with them in the past 6 years. I have traveled down to Oklahoma to see them and take lessons. They have always been warm, welcoming and available to help with whatever question or problem I may have had over the year. I have progressed from running in the 4D at local jackpots and participating in 4H to achieving some major goals. They all took the time to instruct me at the level I was currently at and gave me what I needed to progress to the next level. They helped find me the step up horses I needed to progress successfully. I would never have achieved what I have in the past few years without their help. 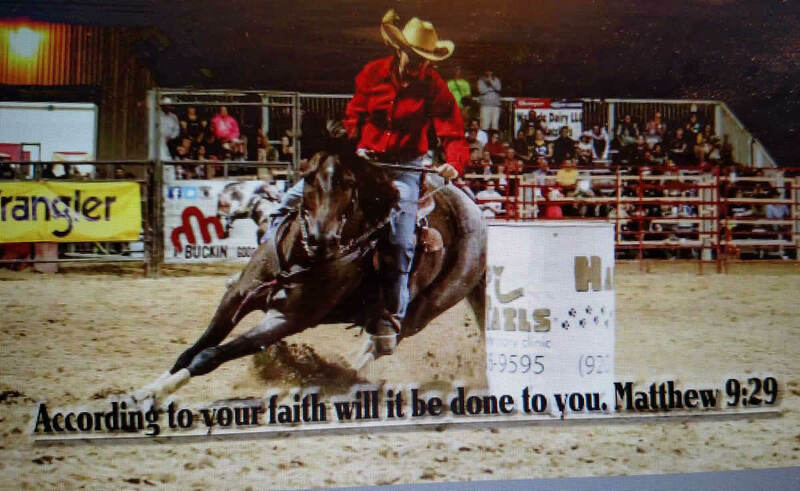 The Melby Team has helped me to achieve great success in the rodeo world. I have continued to climb and improve to the top of my performance after every rodeo. With multiple horse purchases from Jane, I have reached many great accomplishments. While participating in a significant amount of clinics I have never failed to gain more and more knowledge coming back from each one. They continue to help me improve and make sure I have the tools to come out a winner. Our family has worked with Jane and Ryan Melby for more than 20 years starting with my daughter when she was in high school rodeo. When I turned 60, I started competing on a horse that Jane found for me and attended their clinics. Now, my granddaughter (age 10) is attending their clinics. The Melby family is exceptional in their work with people who want to learn more about their sport (young or old). They take the time to break down all techniques and to make sure their students know and understand the reasons behind what they do. 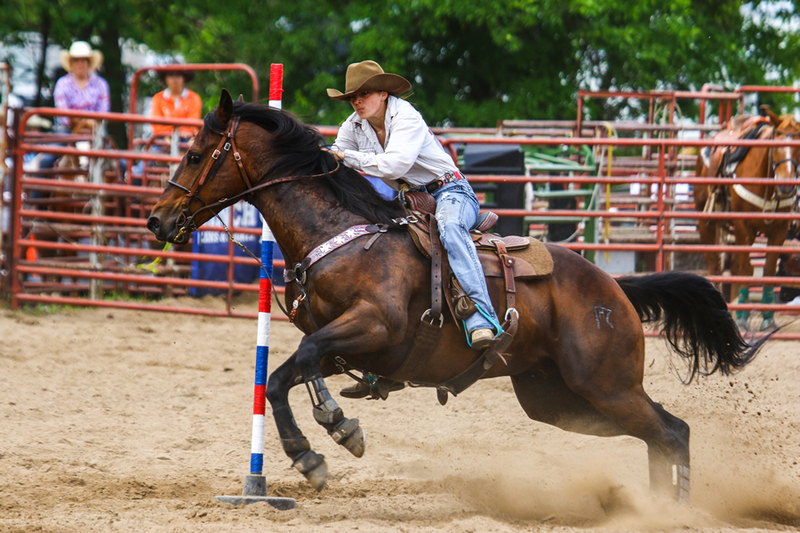 Over the years, they have also broke and trained multiple horses for us for barrels starting when they lived in MN and has continued even though they are now in OK. These horses were and still are some of the top barrel horses in our area. Including horses we have raised that were out of their stallions. The Melbys are a hardworking, exceptional family that love passing their knowledge on to others. We can't thank Jane enough for finding Dancinginthestarlight, "Clancey", for our daughter, Kelly. The team has had a great year in 2015! We went to Melby's place to try him, where Jane spent several days helping Kelly, and hauling her around to jackpots to make sure this was the right fit. Since then, Jane, Ryan and Cayla have all helped Kelly with her horses and have been great support. They've provided such great information and experiences for us! I meet the Jane and Ryan back in 2006 at one of their clinics in Princeton, MN. I did not grow up in a rodeo family, so everything I knew was self-taught. I had to start from square one and break all my bad habits first before I could move forward. Ryan was an incredible coach and mentor to me. I remember driving to their place every week. He would help me fix one thing per week or until I mastered it. After Ryan helped me with my horsemanship skills, then Jane would help with speed and fine tuning in the barrel pattern. They make an awesome team together to help tune on my horses and myself even today. I have bought a lot of horses though the Melby’s. They have always helped fit me to the right horse for what I had to spend. The one solid memory I have and I will take with me is when I told Ryan and Jane I was ready for the next step, a pro rodeo horse. Ryan looked at me and said “well do know what you want? Do you want a horse with a long stride or short stride? Do you want a push style horse or free runner? A season, solid horse or green horse with potential? These questions have followed me with every purchase I have made. In 2011 I purchased Six Bugs Runnin a 2004 Bay Gelding (Figure Me Special X Little Baby Buggie) from Jane and Ryan. In 2013 I bought Thirty Six Power a 2010 Bay Gelding (Tres Seis X String Scorpion Sting) though Jane sight unseen. Some accomplishment on theses horse include. The first time I ever met the melbys was in 2010 when I was referred by a mom at Little Britches rodeos. The lady who referred me told my dad that if we were serious about pursuing rodeo I better go to a Melby clinic. Meeting the Melbys was the breakthrough I needed for barrel racing, roping, and horsemanship. Over the years I have continued to ride with them and I continue learning new skills to enhance my horsemanship and riding. The Melbys have helped match me with top barrel racing and roping horses and always help keep them tuned up. The great part of buying a horse from the Melbys is that they can read horse and rider and get the right match. I am grateful for all the help the Melbys have given and continue to give me to achieve my goals. I owe a lot of my success to the Melbys. Sloan Anderson make a World Championship Winning Run. Our family has purchased multiple horses and used Melby's for training for the past 15 years. When my daughter Austyn was 3 she started taking lessons with the Melby's. Ever since we have bought all of our horses through them. They know what she needs before we know, every step along the way they have guided us. It's always been important to Austyn to be able to win on multiple horses and Melbys have given her the tools to do that. Every member of their family has helped Austyn. Ryan knows just how hard he can push her and is the phone call she makes before a big run. Jane helps her with her mental game and Austyn usually attends 2 or 3 of her clinics a year. Colton helps us get our colts started and Cayla is the person in this world Austyn looks up to the most. Cayla has given Austyn multiple lessons and important advice. Cayla knows what it's like to compete at a high level at a young age. We all have bad runs and Cayla has helped Austyn to deal with those days in a healthy way. I love how well Melbys treat their horses and we have learned a ton from them. © 2000-2019 Jane Melby ~ All rights reserved.